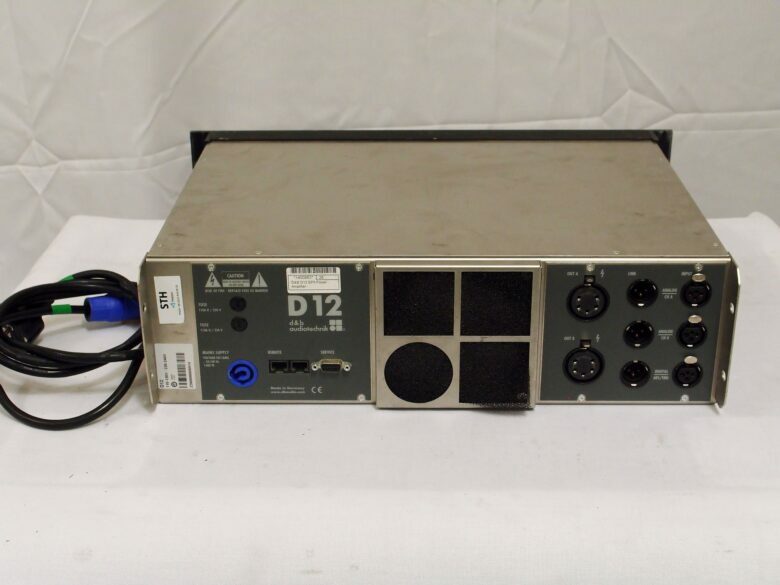 The 3 RU two channel D12 amplifier delivers medium to high power into low impedance loads between 4 and 16 ohms and is ideally suited for use in both mobile and installation environments. 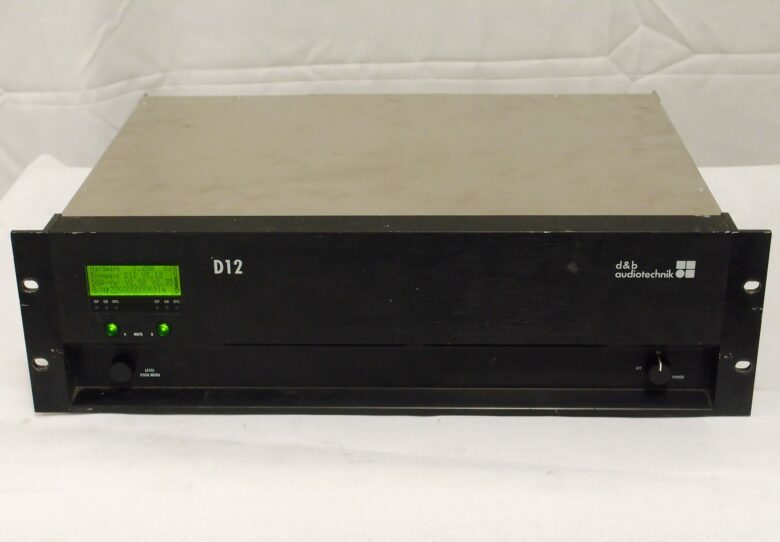 The D12 contains setups for all d&b loudspeakers and a linear mode. The signal delay capability enables user definable settings of up to 340 msec (=100 m/328.1 ft) to be applied independently to each channel. 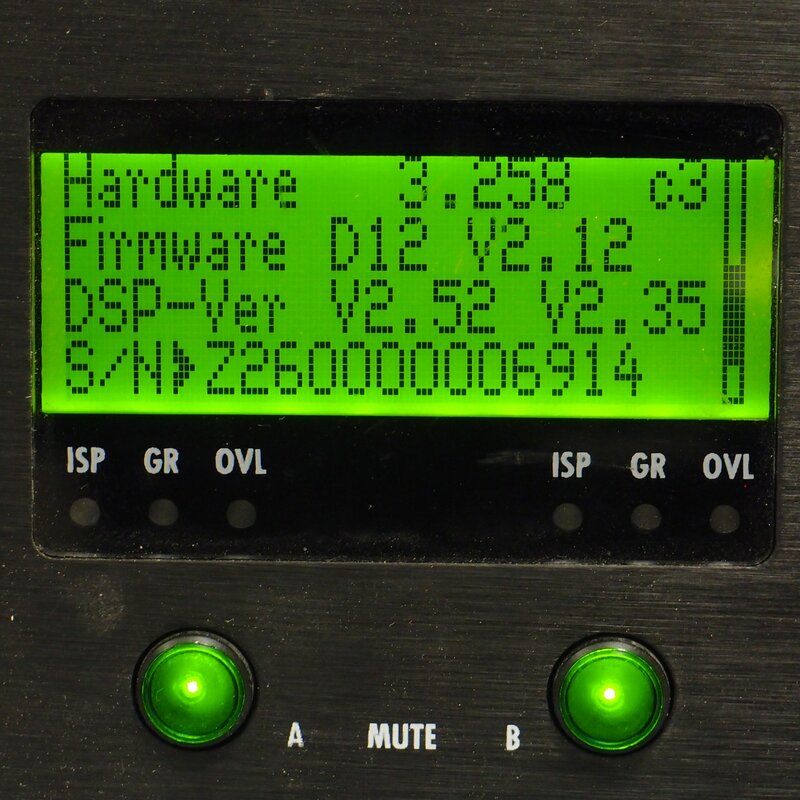 The same applies to the 4-band parametric equalizer, providing optional boost/cut or notch filtering. 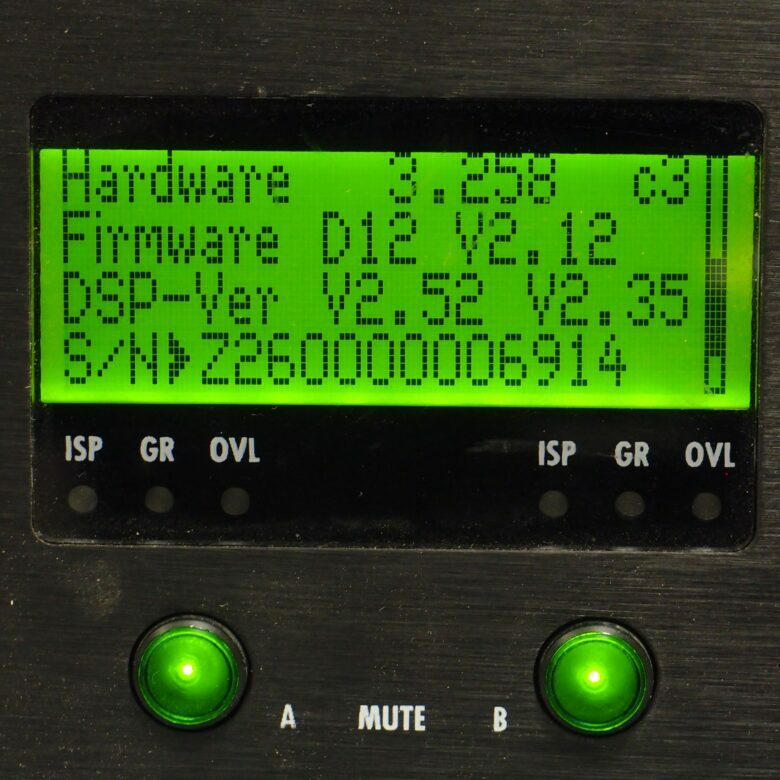 The D12 incorporates a digital rotary encoder and a LCD display to configure the amplifier. The D12 utilizes an autosensing switch mode power supply for mains voltages 120 V/230 V, 50 – 60 Hz (optional 100/200V). The D12 amplifier incorporates d&b SenseDrive for accurate control of LF drivers in d&b loudspeakers driven in 2-Way Active mode or in actively driven d&b subwoofers. When the D12 is fitted with EP5 connectors and appropriate 5 wire cabling, d&b SenseDrive can be used, resulting in an extremely precise bass performance even at high levels. NL4 and NL8 connector options are also available. RJ 45 connectors enable access to the Remote network via CAN-Bus. d&b System check verifies that the system performs within a predefined condition, whilst d&b Load monitoring enables an automatic and continuous impedance monitoring. Both can determine the status of an LF or HF driver in systems with multiple elements, even if these are crossed over passively.